Photo of a classic Cadillac. Photo of snow capped mountains behind LA. Photo of classic car in the LA River. Photo of classic car rolling past Roxie Theater. Photo of iconic view of LA from Lincoln Heights. Photo of lone police car patroling DTLA. Photo of boy with sad face balloon in Metro Station. Photo of famous LA Theater. Birds take flight over tracks. Photo of local showing off L.A. tattoo. 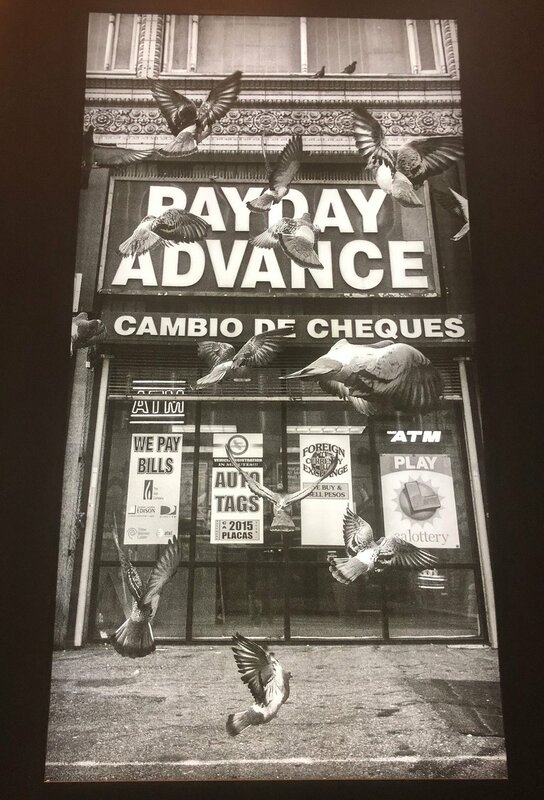 Pigeons scatter in front of payday store. Snapshot of a crew of skaters + their boards. Photo of boy jumping puddle in back alley of LA. Environmental shot of LA alley way after rain.